7th Generation. 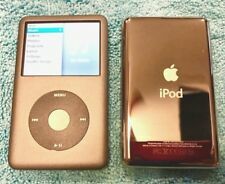 1 Apple iPod Classic 7th Gene ration 160GB Black. iPod Classic. MP3/MP4 Player. USB MP3 Player. Storage Capacity. Case Cover for Phone. Case Cover for Pad. Includes iPod only, DOES NOT include cord. 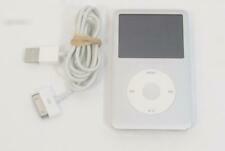 Apple iPod Classic 160GB. 7th Generation. Overall, this iPod is in great condition. It has lived it's whole life in the included black rubber case. There are minor scratches covering the whole unit, but nothing major. 256GB SSD Refurbished Apple iPod classic Video 5th 5.5 Generation Wolfson DAC. This is considered the best sounding of all of the iPods. 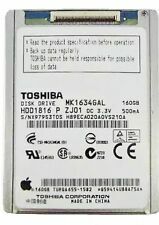 I recently had it refurbished by a local shop which installed a 256 GB SSD drive, and a slightly thicker case to accomodate a high capacity battery. I have used it lightly and always in a case, even so you can see that the case is not perfect and has one small dent in the back. I'll include the charging cable but you will need to provide the USB charger. Please ask any questions you have! 160 GB Storage Capacity for 40,000 songs, 25,000 photos, or 200 hours of video. About this iPod iPod is in used condition. I no longer have the cord and am unsure if it still works properly. Supports AAC, Protected AAC, MP3, MP3 VBR, Audible, Apple Lossless, AIFF, and WAV audio formats. 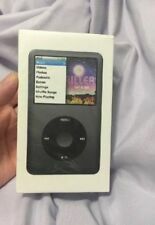 Apple iPod Classic 7th Generation 160g Black Model. Condition is Used. Shipped with USPS First Class Package. 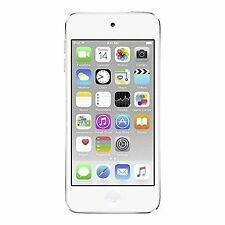 iPod works and has no music on it. Slight scratches and nicks, as seen in photos. I will also replace your back cover with a new one. A: Anywhere from about 232GB to 242GB. 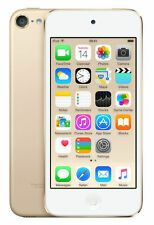 The full 256GB isn't available for storage due to formatting and manufacturer over-provisioning of the card. Apple iPod Classic 160gb Black 7th Generation – used works has been erased. 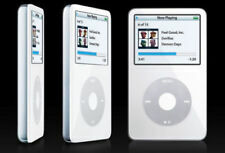 Apple iPod classic 7th Generation (120 GB). Condition is Used. Shipped with USPS First Class Package. It is fully-functional and works as it should. Apple iPod classic 7th Generation Black (120 GB). Condition is Used. iPod is in g ood overall condition and fully functional! iPod is 120gb storage black color. iPod only, no cables. 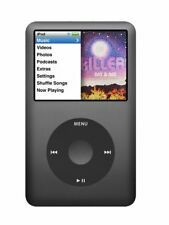 Apple iPod Classic 7th Generation 160g Black Model. Condition is Used. Shipped with USPS First Class Package. 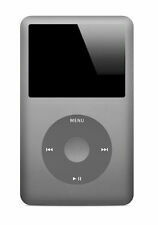 Space Gray iPod Classic 160gb. Condition is Used. It has a good amount of scratches on the back, but works well. The battery is good. Comes with a cord. Shipped with USPS First Class Package. Apple iPod classic 7th Generation Black (120 GB). Condition is Used. Shipped with USPS First Class Package. 36 Hour Audio Battery Life. We will describe the item to the best of our ability. We have described this item to the best of our knowledge and ability. We have also described any flaws or faults in the item to the best of our ability. 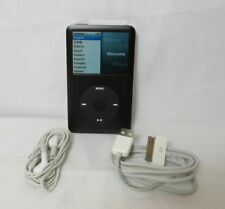 Apple iPod Classic 160gb Black 7th Generation. Condition is Used. Shipped with USPS First Class Package. Comes with a bluetooth receiver so it can be used with wireless headphones.